If you’ve been reading my posts for a while, you know I’m a big girl. 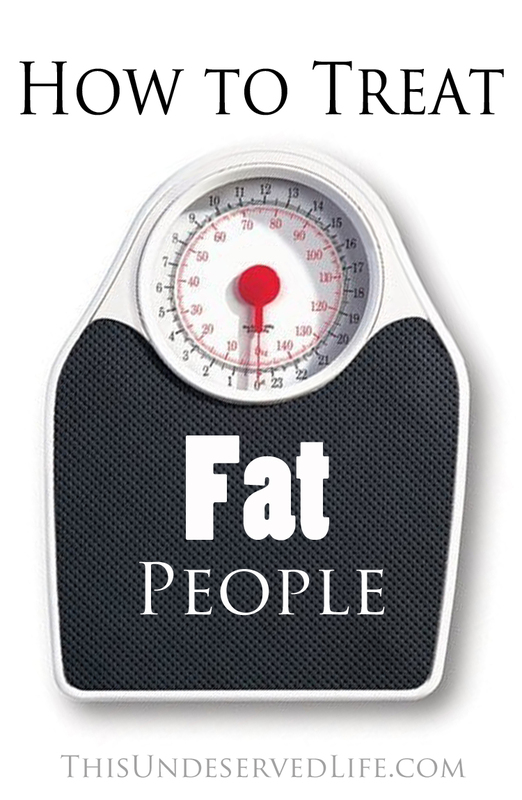 I’ve written about some of the issues I’ve faced as a plus-sized woman here, here, and here. It’s not a big secret, it’s something I discuss openly, it’s something I’ve had to deal with for a long time now. Yet for all the struggles I’ve shared and the courage I’ve mustered, few things terrify me as much as the tagged photo. You never know when it will strike, when it will creep up on you, completely unprepared and unaware. You step away from social media, have a lovely day, then come back to a strange surge in notifications – gasp! 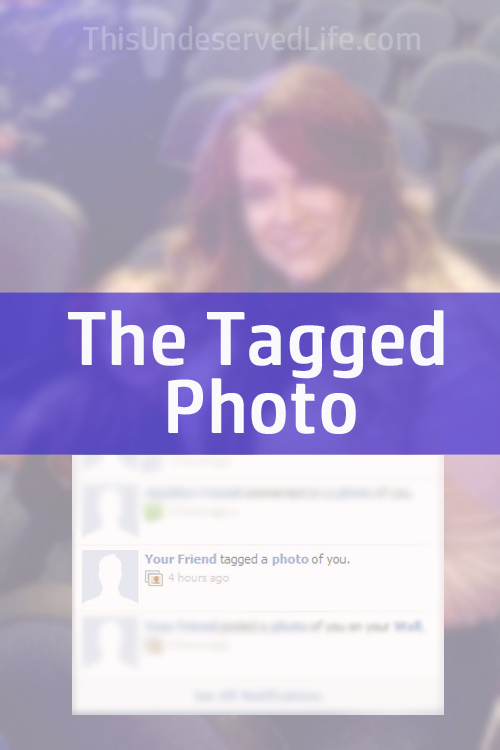 You’ve been tagged in a photo… and people have SEEN it! You can remove the tag if you want, sure. You can adjust your settings so that you must first approve tags (and I thought I had). You can walk around in full hair and makeup, sucking in everywhere you go and appearing to candidly laugh in the background at all times. No matter what precautions you take, it never fails that someone, somewhere, will at some point tag you in an unflattering photo. Such tragedy befell me yesterday. Earlier this week I went on a field trip with my daughter and her pre-k class. She had a great time, talked about it for the rest of the day with the biggest smile on her face, just so excited about what we’d done together that day. The day was a success! Truth be told I was as excited as she was about the day and couldn’t wait to announce it on social media, it was such a fun time. But I didn’t. Over the course of the morning we took at least 30 selfies together, and none of them met my standards. We tried side light, low light, direct light, sunlight. Silly faces, vogue faces, the right side of our faces and the left side of our faces. Different backgrounds, different poses, different angles. I looked at every single one of them and dismissed them as unworthy of sharing because I didn’t like how I looked in them. My daughter, of course, was adorable in each one, even though the last dozen or so really began to show her annoyance with the constant pictures. I’m a photographer and this is my busiest season, so I’ve been staying up working at a computer screen until 6 am, getting about 3 hours of sleep a night, and it showed. I had bags under my eyes from editing, grey in my hair from parenting. My nose looked too pointy in one photo, too bulbous in another. I didn’t like the way I looked and controlled how my friends on social media saw me. Goodbye, photographic evidence of an otherwise lovely day. Yesterday evening, my adorable daughter’s amazing teacher posted some photos she had taken of the day. Group photos of the class, pictures of her with some of the kids, parents… and then I saw it, the reason I’d gotten a notification in the first place – a photo of my little girl and I, together, and I was – gulp – tagged. My cheeks instantly flushed, my ears burned with embarrassment. I was sitting, rarely a good pose for anyone and never a good one for a plus-sized person, and my tiny little daughter looked positively elfin next to me. There I was, obviously large, nothing and no none to hide behind. Just me. I was humiliated at how much of the photo I took up, how apparent my size was. I was disappointed, all my carefully-crafted, expertly-angled, creatively-cropped selfies gone to waste now because this photo was showing the truth. I felt exposed. Here I was and there was nothing I could do to change it. I’ll be honest, as silly as it may sound, my eyes burned with tears. I didn’t like what I saw and I didn’t want anyone else to see it. The photo already had a handful of “likes” from friends who had seen me, the real me, in their newsfeed. As I stared at the image and dissected it, made a mental list of everything I hated about myself, I got a few more notifications that friends had “liked” the photo I was tagged in. Crap, there goes another one. And another. I put my phone down and hung my head. I stayed silent for a while, just sitting on the couch, watching tv with my husband and feeling that gnaw in my stomach that comes with regret. I badly wanted to go back in time and either decline the photo op or set my daughter in my lap and smile over her shoulder, shielded from the camera, from the truth of who I am. I wanted to remove the tag. I wanted to investigate and look at who all had seen the photo. I opened Facebook back up and checked my notifications. Yep, a few more “likes” on that embarrassing picture of me. I clicked on it and started reading the names of my friends who had taken the time to react to it. Not react – they liked it. Some of them even took the time to “love” it. Some of the friends I’ve never met in real life. I’d met them in groups where we shared similar interests and hit it off, but we’d never met, never hugged, never shared a cup of coffee. These people had just gotten their first glimpse of me – the real me. The unflattering, sitting-down, chest-is-bigger-than-the-head-of-the-child-sitting-next-to-me, what-on-earth-is-my-hair-doing me. Some of the friends – there goes another like! – do know me in real life. They’ve hugged me, seen me cry, listened to my loud voice and smiled when I walked into a room. They weren’t duped. They’ve seen me look like that, every time they’ve been around me. They’ve seen me sit, seen me with lipstick on my teeth, seen me sweat and get frustrated and take my heels off in stores to walk around barefoot. They’ve seen me, and still they’re my friends. And they “liked” the picture. They support me, encourage me, and are happy to see me smiling on a field trip with my daughter. They may not have cared if I was sitting, they may have, but they’ve seen me and it didn’t matter. They “liked” it. Oh man, Amber just saw this picture of me. Come ON, I saw Amber in person two weeks ago, this picture isn’t telling her anything she didn’t already know about me! Instead of seeing each notification as a nail in the coffin of my image, I began to see them as little high fives, little pats on the back, little gestures from friends who saw me, the real me, and were happy they had. Friends I’d encouraged to make sure they had pictures of themselves no matter how unhappy they were with their appearance. Friends I looked up to. Friends I grew up with. Friends who knew me when I was thin and friends who first met me when I wasn’t. It sounds so simple, they just “liked” my picture and went on scrolling. But it meant so much more. Instead of feeling exposed I was feeling accepted. Instead of feeling disgusted I was feeling loved. I may not have liked what I saw in that picture, but my friends did, and not because of how I looked, but because it was ME in it. Don’t get me wrong, I won’t be changing my profile picture to that one any time soon. My profile picture which, by the way, is a carefully-angled selfie of me wearing a shirt that says “Plus is Equal”, picked from about 30 other attempts at the same shot and run through a filter or two. Do I look like that? Well, sure, from the right angle and cropped close in. But I sit a lot more than I stand on my porch in full makeup, looking up just enough to elongate my face and neck. I have bags and greys frequently enough, too. I’ve been hiding in plain sight, so scared of how I’d look that I forgot that this is how I really do look, that people in my life see me every day without a second thought. I’ve been laying bare my emotions and experiences and hiding my appearance, the very thing about me that so many posts have sprung from. I’ve been telling everyone without hesitation that I was a plus-sized woman but was too embarrassed to prove it. So there I am. I’m not removing the tag. I’m not mad, I’m not upset. I’m still probably a little sheepish about the picture, but I’m glad I have it, glad to have a memory saved of that wonderful day with my girl, glad she’ll have something to look back at and remember. I’m challenged now to embrace who I am. I’m convicted that I’ve been using my voice to advocate for people who look like me but using any other means possible to keep people from looking AT me. My pants size didn’t change when that picture was seen by others, my weight didn’t fluctuate. I’m still exactly who I was and I still look exactly the same. My husband still loves me and tells me I’m beautiful, I still have 3 awesome kids, and the Backstreet Boys are still better than N Sync. Nothing really changed in my world apart from how terrified I’ve been to let my friends see me. Now I challenge you, friend, to do the same. Let your friends see you. Let us know you. Don’t duck away from photos (guilty), don’t hide behind the camera so you don’t have to be in front of it (guilty), don’t pass up an opportunity to capture a memory forever because you didn’t want to see yourself in the present (also guilty). Take pictures. Heck, jump into the pictures. 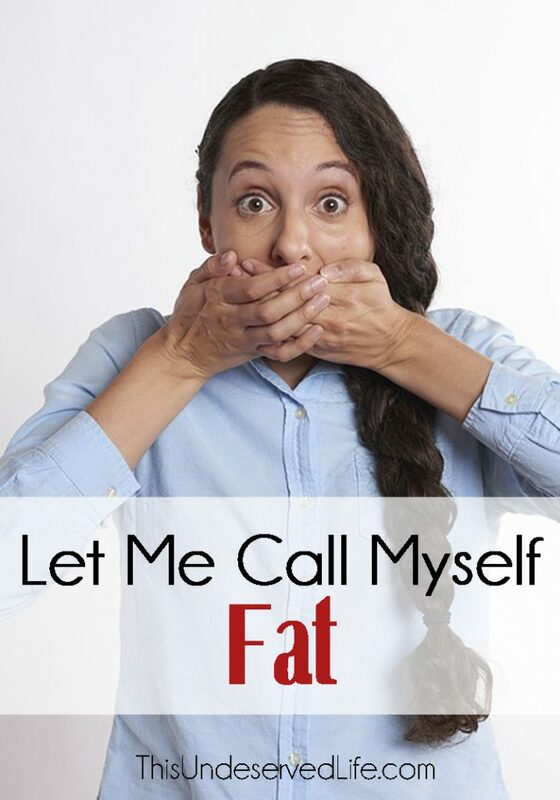 Who you are is not how you look, so anyone who calls themselves your friend has already decided to like you without knowing that you wear your belts under your bust instead of around your waist (so very guilty). So you look different than you used to – there’s a whole day devoted to laughing and musing over how much we’ve ALL changed, Throwback Thursday. So you don’t love how you look – you’ve got a lot of people who love who you ARE. 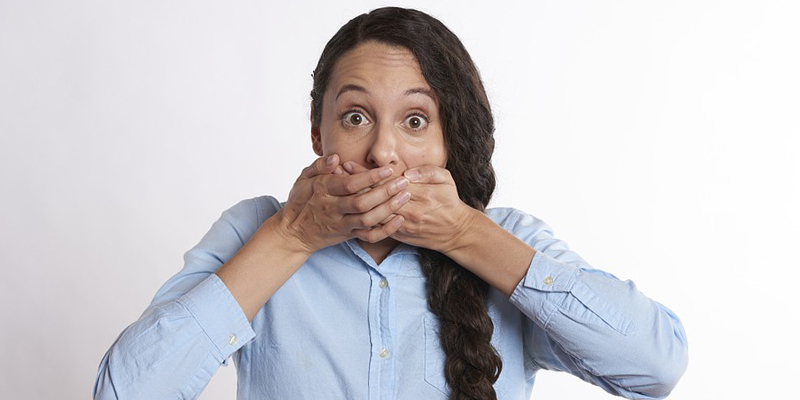 I challenge you to answer these questions whenever you hesitate to share a photo, a memory – what is the absolute worst thing that can come from an unflattering photo of you being seen by others? Is it catastrophic or can you survive it? Is the memory of that moment more valuable than the image you’ve crafted up until then? Have you ever lost respect for someone or ended a friendship with anyone because they had a roll of chub showing or were in the middle of a breakout? If you have never been so shallow as to stop caring for a friend because they didn’t look perfect, then do your friends the courtesy of not assuming they will, either. Let’s put ourselves out there, warts, tight shirts, wrinkles and all. Let’s be real. Let’s encourage and empower one another. Let us let go of the pursuit of perfection and remind ourselves that even Beyoncé has some embarrassing pictures tagged, and that while our social media images may be a little imperfect, at least ours aren’t as easily found on Google. Give your friends a chance to “like” what they see, and give yourself the freedom to accept just what it is they’re looking at.